Dr. Catsu Reviews Under the Bed (2013). – Stigmatophilia's gore splattered corner of insanity. 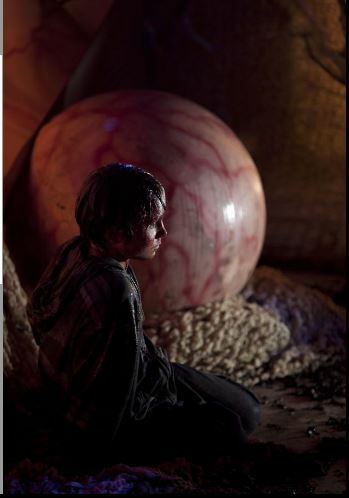 Home › Reviews › 00's horror › Dr. Catsu Reviews Under the Bed (2013). Dr. Catsu Reviews Under the Bed (2013). ‘Under The Bed’ (2013)- by Dr. Catsu. After two years in therapy following a fire that killed his mother teenager Neal returns home. Haunted by dark dreams of a monster under his bed, and increasingly unable to sleep, Neal tries to build bridges with his father, new step-mother and little brother Paulie but soon finds that his family are not the only ones who have been awaiting his return. When the beast turns its attention to the younger of the two boys, Neal must finally confront the demons of his past, or risk losing his family forever. ‘Under The Bed’ was released way back in April 2013 and had picked up decent word of mouth both before and after its release. It is, therefore, surprising that it appeared on shelves in the UK at the start of 2014 with very little fanfare from even the genre press. Having now seen the movie for myself it is abundantly clear why; ‘Under The Bed’ is a tonally-confused mess. At a very brief 83 minutes long, ‘Under The Bed’ still wisely takes its time introducing characters and trying to flesh them out as real people. The majority of the opening hour is spent establishing an authentic atmosphere as our hero comes up against the predictable disbelief that genre films rely upon whilst also trying to protect his brother from an unseen evil. Tonally the opening three quarters of the film reminded me very much of Joe Dante’s (vastly superior) teen horror ‘The Hole’. Unfortunately director Steven C. Miller, who was also responsible for the largely-great remake of Silent Night, decides to throw in an extremely abrupt turn into gruesome territory in the last fifteen minutes which both ruins the atmosphere and negatively highlights the feature’s low budget roots. After wisely keeping the creature out of sight its arrival is unwelcome and the effects, whilst largely practical, are not great even by the standard set by similar movies; the design of the creature is especially derivative and the practical make up is both poorly realised and unpleasantly fake-looking. The deaths, of which there are very few, are reasonably well done however; one in particular would have been at home in an instalment of Adam Green’s ‘Hatchet’ franchise but it sits ill in what is, essentially, a teen movie. Jonny Weston and Gattlin Griffith are reasonably convincing as the two central characters and do the best that they can with the material; Weston especially as older brother Neal is an interesting screen presence and I’d like to see him get a more adult genre piece to work with. This is also true of Kelcie Stranahan whose character Cara is set up early on as the love interest but is quickly abandoned as a narrative dead end. The rest of the supporting cast range from the teeth-gnashingly irritating to the eye-gougingly awful; special mention must go to both Musetta Vander as the boys’ step-mother, who plays her role with a wide eyed mania, and to Peter Holden who as the boys’ father, Terry, who must qualify as the most irrational and overtly aggressive douchebag parent in many years. 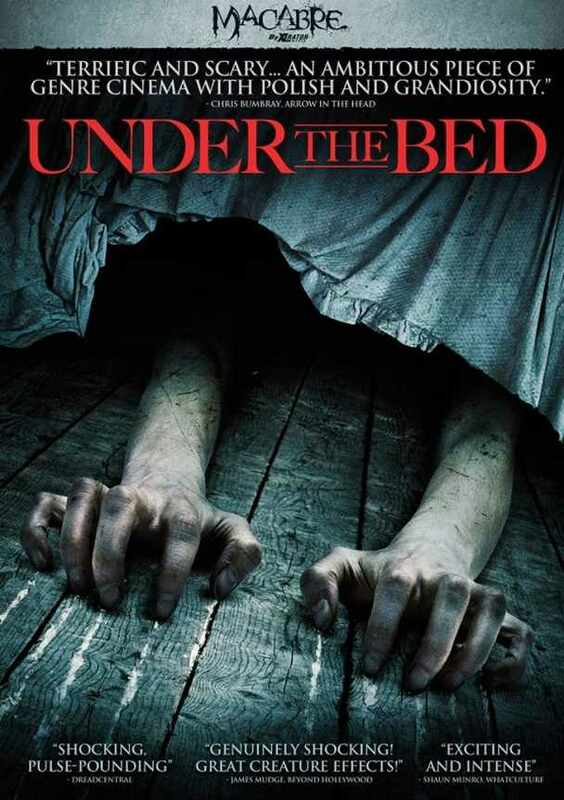 I wanted to like ‘Under The Bed’. 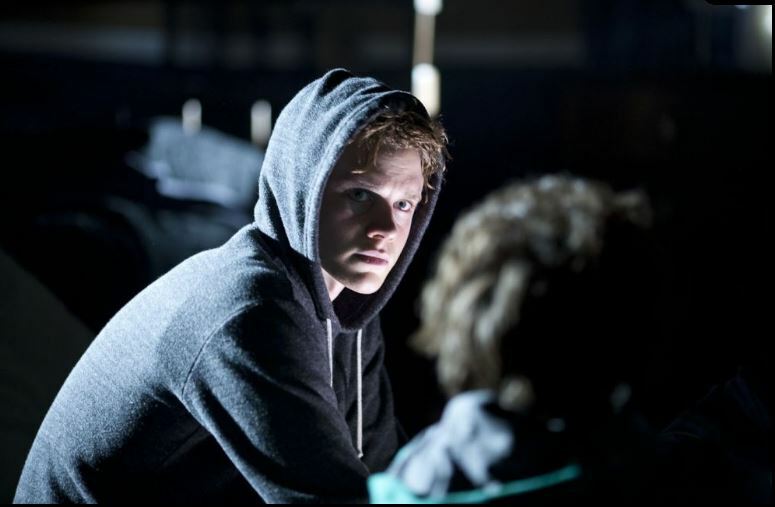 For an hour it was an atmospheric and promising teen creeper with an interesting premise and good central performances. However, as the end approached, it became apparent that the movie lacked the courage of its convictions. It fails for the teen audience due to a brief, but very gruesome, closing act; it fails as a horror film for genre nuts as, for most of the film’s run time, nothing really happens. You might want to check out ‘Under The Bed’ if you’re a low-budget curio collector or if ‘monster-under-the-bed’ movies are your thing; if not then, disappointingly, I cannot recommend it. ‹ Stiggy’s Film of the Day Rock ‘n’ Roll Nightmare aka Edge of Hell (1987).